The Tour Velvet BCT Cord comes standard with Brushed Cotton Technology (BCT), a tighter-weave cotton twill fiber that delivers a comfortable cord grip. The Tour Velvet BCT cord features all of the great traction and all-weather performance that made the Tour Velvet the most preferred cord grip on Tour. 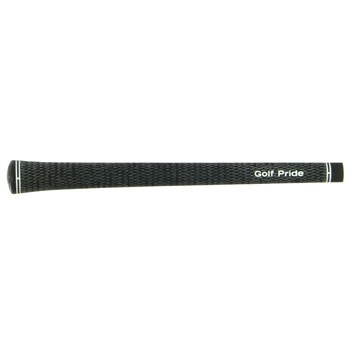 There's a reason why Golf Pride is the number one grip on tour. I bought a set of irons last month that had these grips on them that were/are practically new, so I decided to give them a try before I replaced them with my preferred, softer CP2 midsize (blue/wrap). Thus far I have been pleasantly surprised by their performance and (relative to old style cords) lack of hand/finger punishment. Still plenty firm and responsive, but as a guy who hasn't played a cord grip in a decade (I'm in my late 30s), I'm finding these particular grips much more playable than I expected.